It makes you fitter and stronger. With resistance training it involves both strengthening and toning your muscles by contracting them against a resisting force. It protects bone health and muscle mass. At around age 30, we start to lose as much as 3 to 5 percent of lean muscle mass per year because of our bodies aging. It helps keep the weight off for good. With aerobic exercise helping to shed extra pounds, weight training helps increase your resting metabolism, meaning the rate at which your body burns calories when you’re going about your day, especially while working from home. It can help with chronic disease management. Studies have shown strength training helps people manage their conditions, including arthritis. It boosts energy levels and improves your mood. Strength and conditioning training elevates your level of endorphins, and helps you sleep better. Have you been searching for the perfect break in your workday? Sign up for our strength and conditioning training offered throughout the week at your convenience. 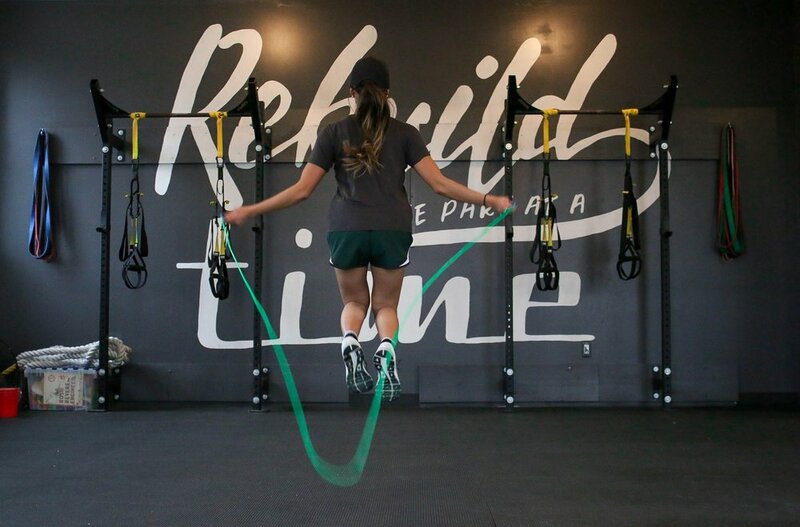 Our Strength and Conditioning training is a great midday break from your daily work routine. It encourages you to get up from your desk and move in a productive way. Choose your partner. Bring your spouse or friend, or contact us to be paired up with another member at the studio. Pick the ideal time slot you would like on Wellness Living or contact the studio.